BARKSDALE AIR FORCE BASE — All Airmen must maintain fitness standards as a mission readiness requirement. However, fitness can also be used as a great motivator for people to achieve higher levels of resiliency. The Iron Airman challenge, which consists of timed push-ups, pull-ups, sit-ups and a distance run, is a new program being run by the 2nd Bomb Wing to accomplish just that. Iron Airman, which began in 2012 as an initiative by the 11th Bomb Squadron’s commander, Lt. Col. William Wharton, was partially derived from a melding of the various services most challenging PT standards. For example, the max push-ups for males was derived from the Navy and the Air Force Academy tests, while the two-mile run was a combination of the Air Force and Army run tests. Using this model, Wharton felt he could encourage Airmen to achieve much higher than the USAF PT test requirements. 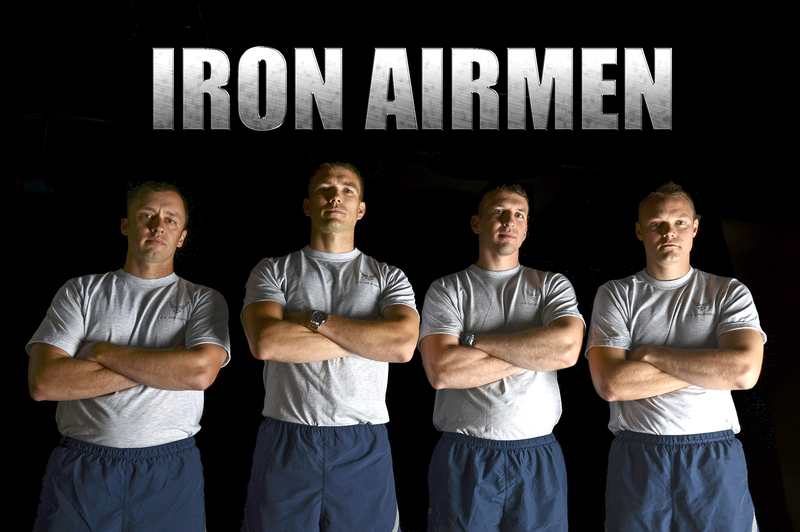 To become an Iron Airman, one must complete four events, each worth 100 points, in less than 30 minutes, and score a minimum of 360 points. A perfect 400, for example, would require a male under 30 to complete 21 pull-ups, 91 push-ups, 100 sit-ups, and a two-mile run in 12 minutes and 16 seconds or less. Capt. William Graff, 2nd Bomb Wing, recently became the first to complete the test with a perfect score. The challenge is not just for aviators. Those who complete the Iron Airman challenge receive recognition from the 2nd Bomb Wing commander, see their name on an Iron Airman Achievement Board, and receive a trophy.